What year did Hip-Hop music originate? Which rap group brought Hip-Hop to the mainstream? Who was the first rap artist to win a grammy? If you could answer these questions within 3 to 5 seconds each, congratulations! You the real MVP. For the others, y’all might require a history lesson. But worry not, there’s an easy way to understand the most significant people and moments in Hip-Hop. 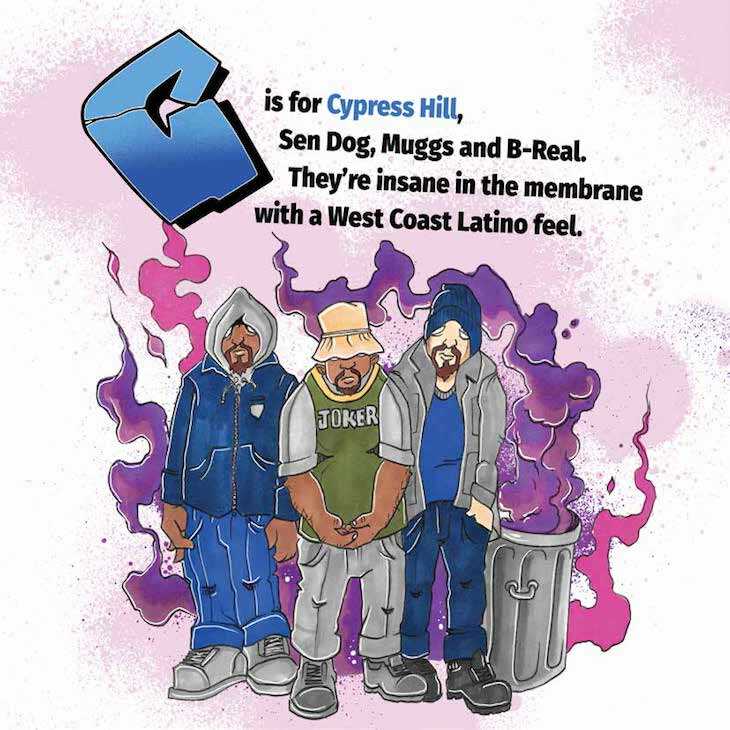 Legendary hip-hop emcee and graffiti artist – Kaves has released a new book titled “Hip-Hop Alphabet”. For most of you who dont know who Kaves is, he was a part of one of the first Rap/Rock crews called “Lordz Of Brooklyn”. He is also a tattoo artist. He has visualized graphics for Metallica, Beastie Boyz and many more. In this book he has illustrated the twenty six alphabets in a graffiti format. 40 years of Hip-Hop’s existence as a culture, including crucial characters and key moments, have been converted into alphabets. On every page there is a small jingle describing each icon/event on the page. As a result, the book becomes an immersive must-read for hip-hop enthusiasts and newcomers alike! 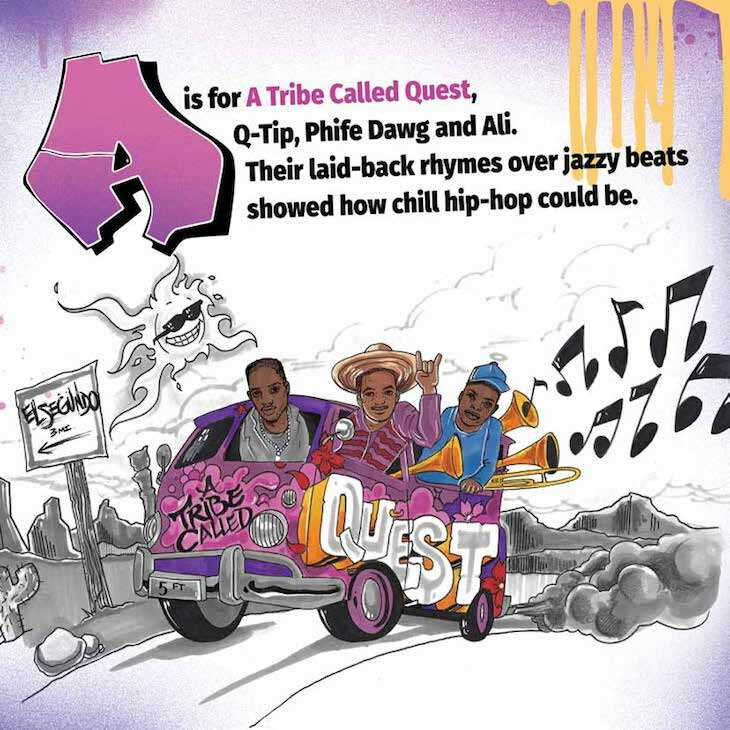 This book aims to educate the masses about the rich history of Hip-Hop culture. It reminds the people that there are icons who have lifted the culture to the state that it is at today. It is due to these icons that Hip-Hop exists globally. And today, it is the most heard musical genre in the world. 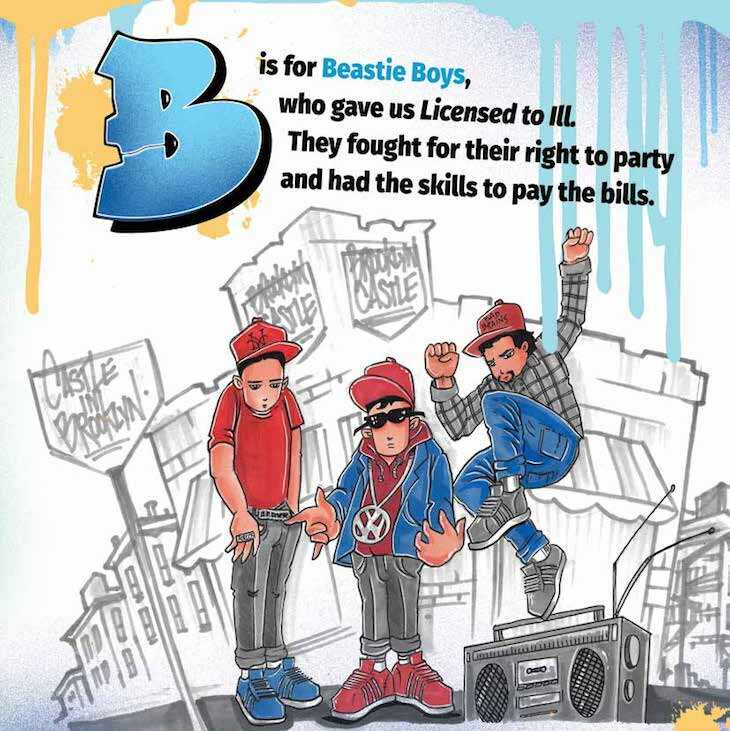 Furthermore, “Hip-Hop Alphabet” also features a foreword message by DMC of the legendary “Run DMC” rap group. DesiHipHop.com has dug out the first three exclusive pages from the book. Have a look at these funky visuals! Furthermore, “Hip-Hop Alphabet” drops this October. There is a pre-order for the same with free shipping, available on Amazon.